What's The Purpose Of A Medial Branch Block With An AZ Workers Comp Doctor? What’s The Purpose Of A Medial Branch Block With An AZ Workers Comp Doctor? The tiny nerves supplying sensation to the facet joints of the spine are known as medial branches. These nerves are tasked with the duty of carrying pain signals from these joints to the brain. A person suffering from arthritis or any other type of spinal disorder suffers pain because of these medial nerves that are branching out from the facet joints. In order to stop them from sending these pain messages to the brain, the use of a Medial branch block is often performed by Arizona workers compensation pain management doctors. This block is basically an injection containing a local anesthetic that numbs the medial nerves, thus restricting their ability to pass on the pain signals. block for reducing the pain. If a person sustains an injury at work and ends up with chronic neck or back pain from it, a medial branch block may be the treatment of choice. Typically, the workers comp doctor will perform a physical exam, review imaging studies and decide where the injection should be performed. At times more than one level is included. How a Medial branch block procedure is performed? The procedure for a Medial branch block is not extremely complicated. You will have to lie down on an x-ray table and the workmans compensation pain doctor is going to insert a needle in to the facet joints being treated with the aid of a fluoroscope. 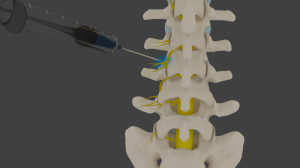 Through this needle, he is going to inject an anesthetic in to the medial branch nerves, suspending their ability to deliver pain messages to the brain. You will be asked to remain on the table and in the recovery room for a short amount of time before being allowed to go home. Patients mostly start feeling the results of the procedure almost immediately. However, some patients do not feel the effects of the procedure until later on in the day. Some patients might also complain of numbness or a slight loss of sensation in their back or neck areas too but it generally goes away after a little while. There are 2 purposes behind a medial branch block. If the numbing medicine works at relieving pain immediately in the affected joint, then the workers compensation doctor knows that the affected joint is the actual source of the pain. 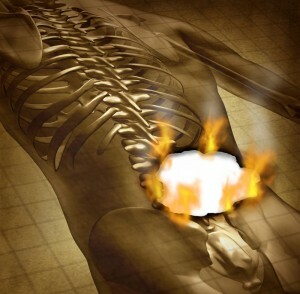 The second purpose is actual therapeutic to obtain pain relief for a patient. Studies have shown that the average pain relief achieved with a medial branch block is three months. 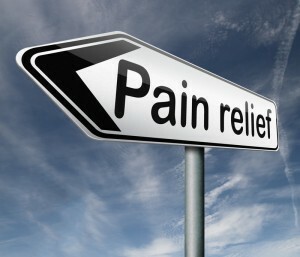 If the pain relief achieved eventually wears off, then the block can either be repeated or the person can go on to have a block with phenol for longer lasting relief. Thus, the purpose of a Medial branch block is simply to disrupt the flow of pain messages between the facet joints and the brain for a temporary period. The Double Board Certified workers compensation pain doctor at Arizona IMA, Dr. Demitri Adarmes, offers both medication management and interventional procedures for painful conditions as a result of a work injury.